with the story, convinced me to buy it, and I am so very glad I did. My Thoughts: The Crowded Kingdom is the story of two sisters, Jada and Jinny, who find themselves shrunk to the size of dandelions and immersed in a world of fairies, elves, brownies, and other small folk in New York City. With their two new friends Aress and Kiwi, they embark on a journey to find out how to return to their normal size – and get caught up in a magical war instead. 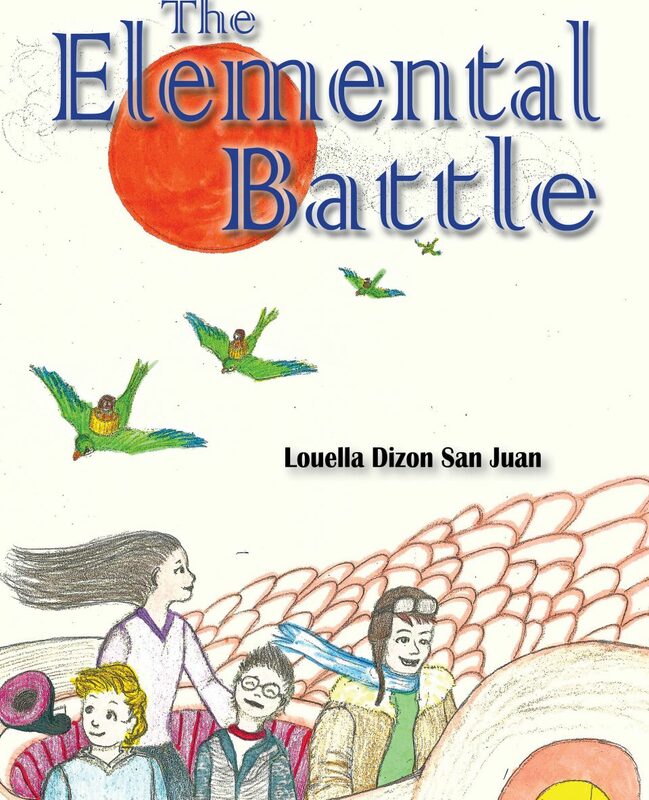 I bought this book at the Brooklyn Book Festival, where I had a chance to talk to Louella Dizon San Juan herself about the book before committing to buy it. Her enthusiasm for the story, as well as the story’s premise, and the wonderful illustrations she drew to go along with the story, convinced me to buy it, and I am so very glad I did. I have always been interested in stories featuring the “wee folk,” and grew up watching the animated movies Thumbelina and FernGully, so I am no stranger to the idea of a small person doing incredible things, or a human being shrunk down to the same size as a fairy. Jada and Jinny take these events in greater stride than a lot of characters in other such stories, and although to someone like me it seems a bit disconcerting (I would be freaking out in that situation, I know I would), at the same time you realize how young, innocent, and in general awe of the world they are, and find yourself wishing for those wonderful days of your childhood when you could build a whole story or game around the simplest things. The two sisters also have a great love for each other, even when one annoys the other, and it’s so nice to read about their sisterly bond and see that siblings don’t always have to fight with, mock, out-do, or betray the other, as sometimes seems to be the case in different books I’ve read. Instead, for the entirety of the story, the girls are united in their quest to return to their normal size, their interest in the magical world, and their want to help their newfound friends. There are six named fairy characters in this story, all of whom have personalities and looks all their own. Aress (a seemingly grumpy elf who lives underground, and is the descendent of a character many of us know and love – or, rather, love to hate – from our childhood), and Kiwi (an elf who lives in the shoe department of a store. I won’t say which one, because it’s rather awesome when he tells Jada and Jinny) are the ones who meet the two sisters in the very beginning, but there are reasons to love them all. San Juan created an incredible world in The Crowded Kingdom, one that is not so far removed from our own, but that we fail to realize is there. Using such examples as why dogs bark at each other in the street (a household brownie riding on the family dog), and a person suddenly feeling like they’re out of shape while climbing the stairs (fairies and other small folk catching a lift in their pant cuffs), she’s able to show how they interact with us in our everyday life without us realizing, and gives us a reason to smile the next time we experience such things. The majority of their world, however, manages to remain hidden from us, even in some of the busiest parts of New York City, but next time I’m there, perhaps I’ll keep an eye out for wire-chewing gremlins on the subway or fairies looking to travel out of Grand Central Station by bird or balloon, or who want some help climbing up the stairs. and visit http://readerlymusings.com for more insightful reviews on a wide range of books!